IPS Roofing Limited completed this impressive Children’s Club in Rubberfuse Fleece Backed Single Ply Membrane. Terracotta was the chosen colour giving a bright and vibrant feel to the building. The pitch on this roof made it particularly challenging for the installation team but nonetheless resulted in this high quality finish. The build up consisted of an 18mm Plywood base, Rubberfuse Vapcon Vapour Barrier with a double layer of Kingspan 90mm TR27 Insulation to achieve the required U Value of 0.13. 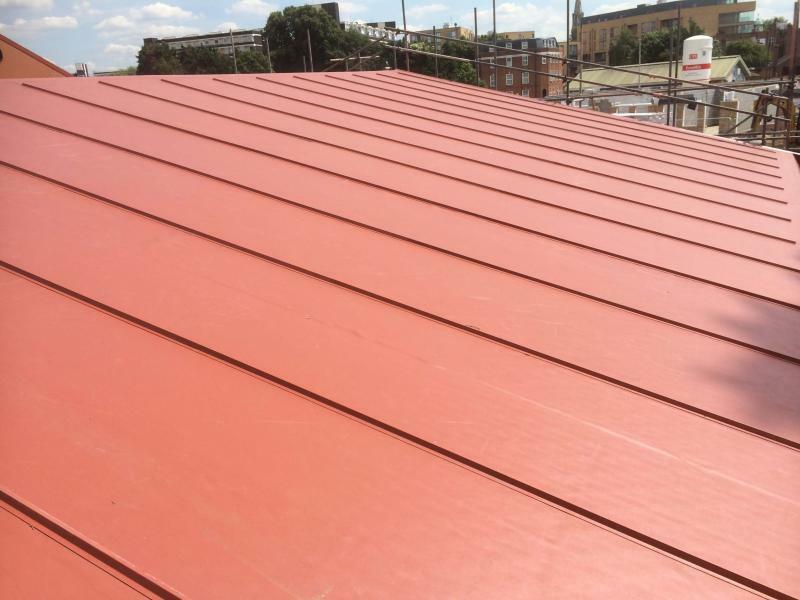 Rubberfuse FB Membrane was fully adhered and completed with a colour matching Standing Seam detail. Rubberfuse sheet laminated metal in Terracotta was manufactured in house to complete the gable end, eaves and capping to the external gutter edge.